The Reserve Vineyards and Golf Club opened for play in 1997 and immediately distinguished itself as the region's premiere golf destination, boasting two courses with enough juice in the layouts to challenge some of the game's greatest players. From 1998 to 2002 The Reserve hosted Peter Jacobsen's Fred Meyer Challenge, the country's largest non-sanctioned PGA Tour event. A veritable "who's who" of golf icons - Arnold Palmer and Jack Nicklaus (both pictured above), Fred Couples, Phil Mickelson and Sergio Garcia - participated in the Pacific Northwest's marquee golf event. 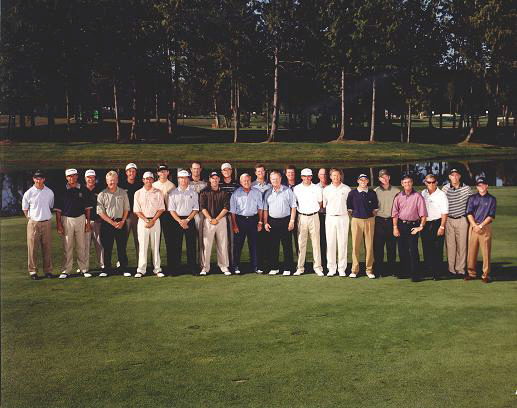 From 2003 to 2006, The Reserve hosted the PGA Champions Tour major, the JELD-WEN Tradition. The 2003 event "produced a win by one of golf's all-time greats, an emotional story line, a strong leader board and a dramatic ending" (The Oregonian). Besides tournament winner Tom Watson (pictured above), the field boasted golf greats Jack Nicklaus, Fuzzy Zoeller, Hale Irwin, Tom Kite, Jim Thorpe, and Craig Stadler. In 2012, The Reserve again hosted a field of PGA Tour and Champions Tour All-Stars in the Umpqua Bank Challenge. 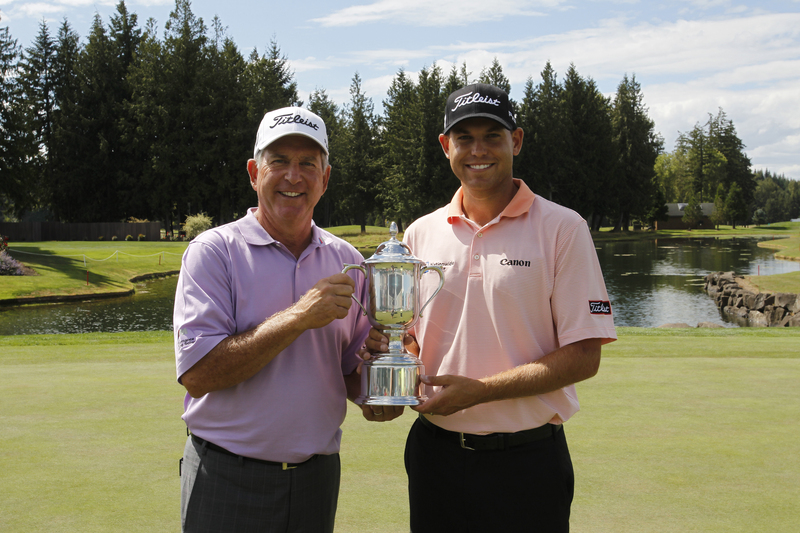 Golf icon Lee Trevino and 2011 Fed-Ex Cup Champion Bill Haas were among those included in the field. Playing with his father Jay (pictured above), the two shared the team victory with an impressive Best Ball score of 55 (17 under par) on the final day of play. "It's a great golf course (South Course). I was very impressed. The greens were fantastic." - Brad Faxon, 8-time winner on the PGA Tour (1999, 2001 Fred Meyer Challenge Team winner) and widely regarded as on of the best putters on Tour. "When I finish a round, I always look at how many 5's I have on the card. Today was one of those rarities in my career when I didn't have a 5." -Tom Watson, winner of the 2003 JELD-WEN Tradition, on his second round 62, the South Course competitive course record. "I think we both did all right." 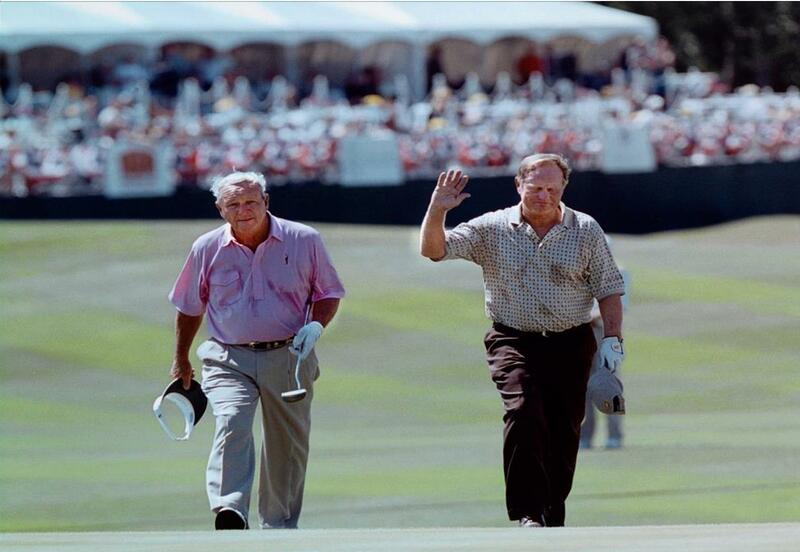 -Jack Nicklaus, 18-time major championship winner, on his final round pairing with friend and fellow competitor Arnold Palmer at the 2000 Fred Meyer Challenge. "(The Fred Meyer Challenge was) everything I expected and more." -Sergio Garcia, 8-time winner on the PGA Tour and 2001 Fred Meyer Challenge participant.